Going grocery shopping and cooking may be a chore, but not like it was during World War II. During the war, many things were rationed. This meant families were only allowed a small amount each. Some items weren’t available at all. Recently, I wrote a book set during WWII. In Where Treetops Glisten, my main character, Meredith, is a nurse on the war front. During Christmas 1945 she is stationed in The Netherlands, and the fighting is thick in the Battle of the Bulge. 1945 in The Netherlands was considered the “Hunger Winter” because there was so little food. Things weren’t nearly as bad in the United States, but everyone sacrificed so the troops could have food. With the rationing came recipes. A typical recipe ad contained between three and six recipes, sometimes as many as a dozen or more. Some advertisers like Frigidaire and Armour also offered free ration-oriented cookbooks containing, on average, about eighty recipes. Even Lysol, which had nothing to do with food preparation except cleaning up the kitchen afterwards, offered its free “Victory Cook Book” of eighty-one recipes with every purchase of the disinfectant. Want to try one of these recipes? Why not try Chocolate Potato Cake? Here’s a recipe for Chocolate Potato cake from the cookbook, “Dressy Dishes from Your Victory Garden.” Print the recipe. Desserts from the Victory Garden? Cross our heart … and watch the plates cross the table for “seconds” when you serve such ingenious delicacies as Carrot Pudding, Tomato Spice Cake or Carrot Pie. Their good taste hides their secret, of course … no one would ever guess they’re just bursting with vitamins and came right out of the garden. Another recipe you can try is Salmon Loaf Recipe. And if you’d like to learn more about rationing during World War II, here are some great resources … including a film in color! 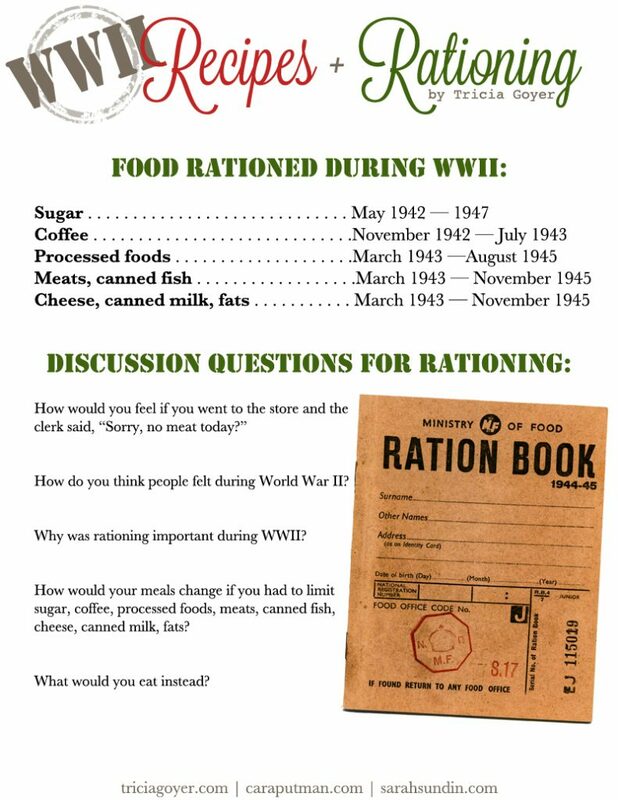 For rationing discussion questions and recipes, download the free printable! 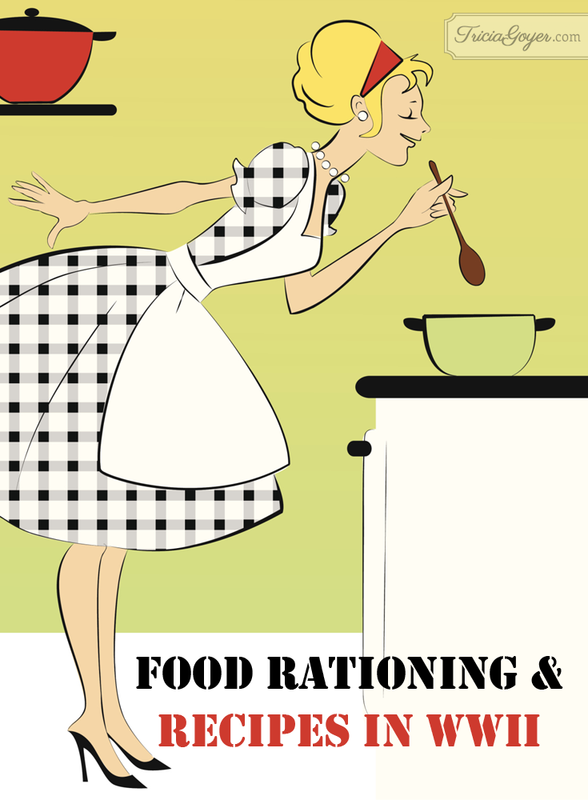 My mother knew all about rationing during WWII . She went through the depression and the war. Dad served overseas and mother worked to keep things going for herself and my two older sisters. I wasn’t born till 1946. This is all very interesting to me.